300 for an ebay gt45? the examples you provided are definitely NOT the items for sale. The turbo you showed was an obviously cheap one, mine is rated much higher in all aspects and is all around better made. That one looks like someone cast it in playdough. 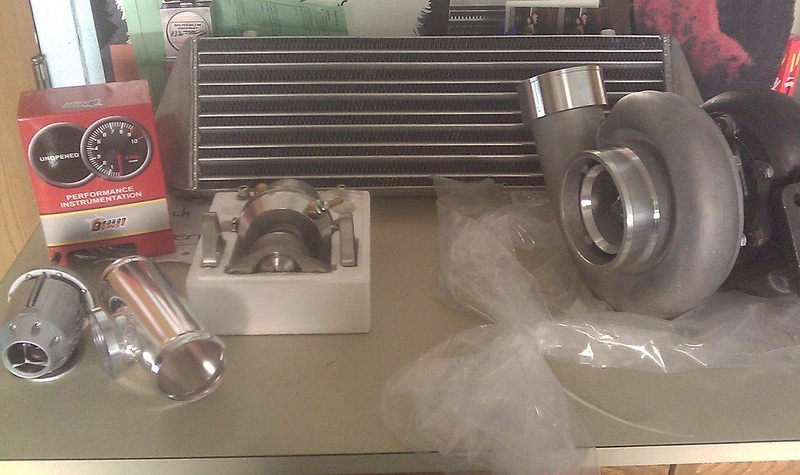 The wastegate is a peice of junk and doesn't include 2 springs or a boost controller. That blow off valve is an absolute joke, I have the upgraded version of that WITH A CUSTOM FLANGE PIPE. Are you trying to tell me that dnamotoring sells quality parts? I don't know what you have against me, but you're setting a bad example for this site. All i was trying to do was sell some of my parts for less than I bought them, not get into a holy war. If you don't want to buy them thats fine, just say that. Don't troll when all I am doing is trying to get some money back in my pocket from this whole ordeal. Thank you for your patronizing attitude and general lack of humanity. I've heard several individuals propagate Chinese Knockoff's as good quality blowers. Said they've gotten to be much better in recent years... Sure, if it burns up it's a paper weight, but that is all based on an if. I actually wanted to purchase one directly from China, but the shipping was almost as much as the blower...WTF? I was 100% trolling and for that I apologize, but the OP needs to realize that what he has isn't gold and he shouldn't be asking top dollar for it. I understand that you are asking $31 less than what you paid for it, but if I was in the market for this kind of turbo, I would much rather buy it off of DNA motoring's site before I bought it second hand for only $30 cheaper. You're not understanding Quada... What you think doesn't matter. What you'd do doesn't either... If a guy came on here selling dog ---- by the pound, would you flame him about the price of said dogshit, even though you're not interested in buying it? stop clogging up this thread with your thought diarrhea.